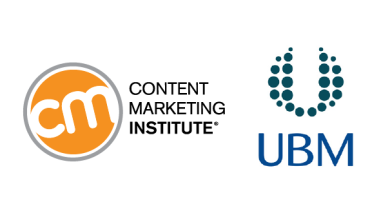 I’m beyond excited to announce that Content Marketing Institute has been acquired by UBM. For those of you not familiar with UBM, they are the No. 1 B2B events organizer in the U.S. and Asia, with a large business globally in many verticals. After many discussions with the executive team at UBM, it was clear that both UBM and CMI share the same passion for the content marketing industry and its growing community. CMI and Content Marketing World will become part of UBM’s technology events group and it is an exciting expansion for UBM into the fast-growth world of content marketing and marketing technology. This decision will help us at CMI take our vision of advancing the approach of content marketing to more marketers in the U.S. and around the world. If you are reading this, you are probably thinking “is this a good thing?” It’s a valid question. Acquisitions are sometimes good and sometimes bad. In this case, this is a very good thing for both CMI and the industry. Long story short, we are ready to expand and grow to continue our mission of education, training, and serving the content marketing community. As a CMI community member, you know I’ve never been one to hold back on my feelings, so I’d like to put it all out there in this post. Even though we always imagined selling the business at some point, this was an incredibly difficult decision. We would never decide to sell the business if our vision would be compromised in any way. One of the reasons UBM decided to make this purchase is because of the passion of the CMI team and the community. Continuing that is critical to our ongoing success. Simply put, I’m more passionate than ever about what’s going on in content marketing and in people like you who are making change happen around the world. There are literally countless people to thank who helped us get to this point. But for this moment, I’d simply like to thank the members of the CMI team. The individuals that comprise the CMI team are the most amazing people I have ever known. They not only are extremely talented, they are family. It was critical that any change in CMI had to be good for them. I’m happy to say that every single member of the CMI team is continuing in their roles at CMI. Nothing. We are continuing to execute the vision we feel so passionate about. At the same time, we believe that UBM can help us better realize that vision. So while I’m sure there will be some changes in the future, we are simply continuing our commitment to you, our community. On April 26th, 2007, I wrote my first blog post, titled Why Content Marketing? From that moment on, we began to execute a strategy employing all the basics of content marketing strategy. For the first three years, we built a loyal audience through our blog. In January of 2011, we launched Chief Content Officer magazine. In September of 2011, we produced the first Content Marketing World. That first year we had hoped to attract between 100 and 150 marketers to Cleveland. However, 660 of you showed up. In 2016, for our 6th Content Marketing World, over 4,000 will attend the September event, coming from more than 60 countries. Then came the monthly webinars (now three times per month), the ongoing master classes, Content Marketing University, the This Old Marketing podcast and a number of other initiatives. It’s so meta, but we’ve used the tenets of content marketing to grow this business up to this point, and we will continue to do so. Just a few weeks ago, I was in Amsterdam having a great conversation with Doug Kessler from Velocity Partners. Doug and I were commenting on how truly amazing the content marketing community is (and it is). From the rock stars to the thought leaders to the enterprise marketers to our sponsors that support us … every person is so giving to each other. It’s been an honor to be part of it. Here and now, in what I consider to be the most innovative time in the history of marketing, what an opportunity we have to make change happen. If you have any questions, please post them in the comments below. Other than this post, you aren’t going to hear much more about this. It’s a special day, but we have plenty to do. I’m looking forward to talking with many of you and definitely to seeing you at Content Marketing World in September. It’s been an honor. Thank you for inspiring me to be better.